What Should I Expect When Getting a Root Canal? What Should I Expect When Getting a Root Canal? What Should I Expect When Getting a Root Canal? 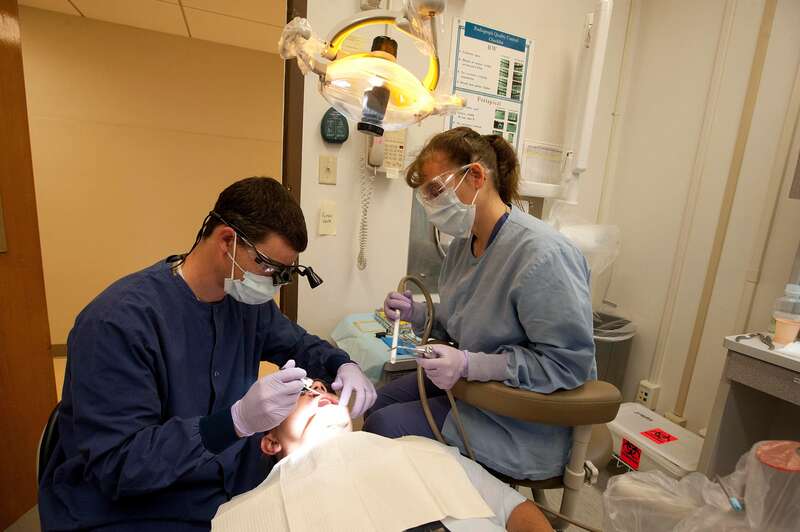 Your dentist says you need a root canal, so what now? You’ve probably heard all the horror stories about root canals and the words alone might send a shiver down your spine. Unfortunately, root canals have garnered this unjustifiably awful reputation. In reality, they are completely safe and tolerable procedures and the pain is only temporary. With the alternative of completely removing a decaying tooth in a costly, painful, and drawn-out procedure, a root canal is easily the preferred patient option. With advances in technology and root canal techniques, at the dental office of Dr. Michael Baharestani, we can provide a comfortable and safe environment for your root canal. So, what should you expect when getting a root canal? When you first get in, your dentist will apply some local anesthesia to the tooth and surrounding area. This is intended to numb the targeted root canal area to ensure that you are not in discomfort while the doctor is working. This step takes different lengths of time for different patients depending on how bad the infection is, but your dentist will ensure that you are entirely numb before beginning the actual root canal procedure. After you are completely numb and the dentist is certain you won’t experience pain, they will remove the top layer of your infected tooth with a drill. While you shouldn’t feel pain, you will feel pressure during this stage. After the top layer has been removed, the dentist will use special tools to remove infected flesh from the tooth and any nerves connected to it. The chamber inside the tooth will then be irrigated to remove remaining debris. An antiseptic will also be applied to protect the tooth and surrounding area from residual bacteria. Throughout the last step of the root canal procedure, the dentist will shape and expand the tooth canal to make room for a filling. The area will once again be rinsed to remove debris. After this, a filler material will be applied and then the dentist will seal the tooth. If the decay was very advanced, a plastic or metal post may need to be installed to fortify the tooth. Once the procedure has been completed, your dentist will relay specific instructions. Typically, you should wait until after anesthesia has worn off before you begin eating again. This should be no more than a couple hours. You may also be placed on antibiotics to prevent infections and your dentist might recommend installing a crown or permanent restoration at a later date. At the dental office of Dr. Michael Baharestani, we utilize the most advanced endodontic techniques to provide the best treatment for our patients. If you need a root canal in Great Neck or the surrounding areas, you can trust the dental experts at our practice. With a root canal using our state-of-the-art techniques, we can preserve your natural teeth and reduce the need for dentures or costly extractions down the road. How Poor Oral Hygiene Can Lead to a Root Canal? Do you lay awake in bed wondering how bad the consequences of not brushing your teeth can actually be? You. You’ve likely heard about a root canal, but what do you actually know about them? You have probably heard horror. At DDS Root Canal, we know the importance of community. That’s why we regularly give back. Not only does DDS.